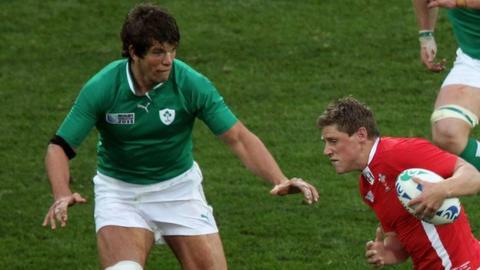 Worcester Warriors have made their 11th pre-season signing by bringing in vastly experienced Munster and Ireland lock forward Donncha O'Callaghan. The 36-year-old, who has won 94 caps for his country, leaves Munster after 270 competitive appearances in 17 seasons for the Irish province. "Donncha has tremendous know-how at the highest level," boss Dean Ryan said. "To bring in someone with such international and European experience is a real coup for the club." O'Callaghan, who also made four appearances for the British & Irish Lions in 2009, has played in three consecutive World Cups for Ireland and helped to win the Six Nations Grand Slam in 2009. He has also picked up two Heineken Cup winners' medals, along with two Magners League titles, for Munster. "I'm very grateful to Munster for all that they've done for me," he said. "But now I'm hungry for my new challenge. "I watched the Bristol game where Warriors turned it around in the last seven minutes at the end of last season, and that was really impressive." There may be more new signings at Sixways before the new Premiership season kicks off at home to Northampton on Friday, 16 October. Experienced Springbok centre Wynand Olivier is also reportedly set to sign on a two-year deal following his release by Montpellier.